1. 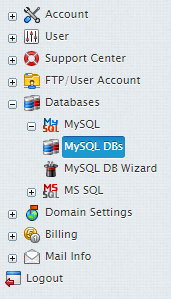 Navigate to Databases > MySQL > MySQL DBs. 2. Select the Red Cross on the database you wish to delete. 3. Click the Yes, I agree with the above link.